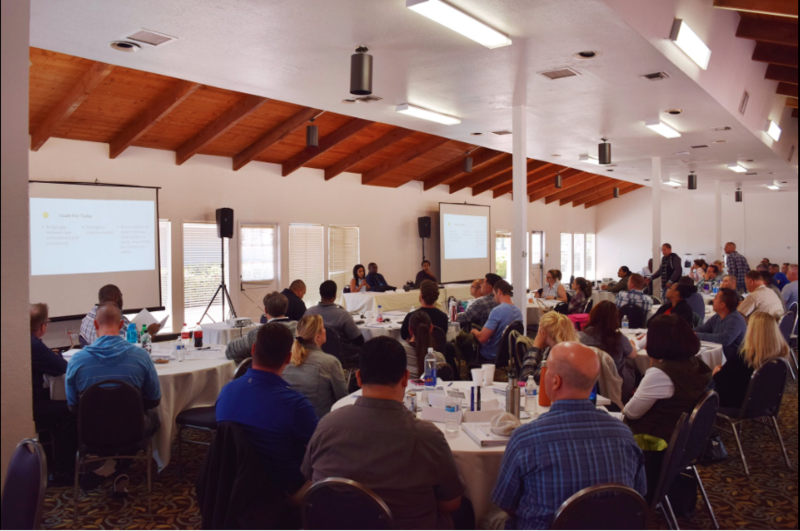 On Wednesday, April 12, UC San Diego Center for Community Health joined the African Advisory Committee for Mental Health to present a cultural competency training module to San Diego law enforcement. The Psychiatric Emergency Response Team (PERT) is made up of specially trained officers and deputies who are paired with licensed mental health professionals. Together, they respond to on-scene to situations involving people who are experiencing a mental health related crisis and have come to the attention of law enforcement. The goal is to provide the most appropriate resolution to the crisis by linking people to the least restrictive level of care and to help prevent unnecessary incarceration or hospitalization of those seen. In response to the shooting of unarmed Ugandan refugee, Alfred Olango, the African Advisory Committee stablished a partnership with PERT to train law enforcement on cultural literacy within the East African Community. We presented an hour-long presentation to approximately seventy police and probation officers about mental health in the East African Community, our cultural and religious values, the perception of law enforcement, and the struggle of the East African refugee male. Afterwards we answered any questions and concerns from the officers and discussed ways to improve relations between the San Diego Police Department and the refugee community. Thank you so much to Dr. Mark Marvin and the rest of the Psychiatric Emergency Response Team, as well as our partner organizations—United Women of East Africa Support Team, Southern Sudanese Community of San Diego, and the Partnership for the Advancement of New Americans. Next Article: American Red Cross WIC Gets Fit!